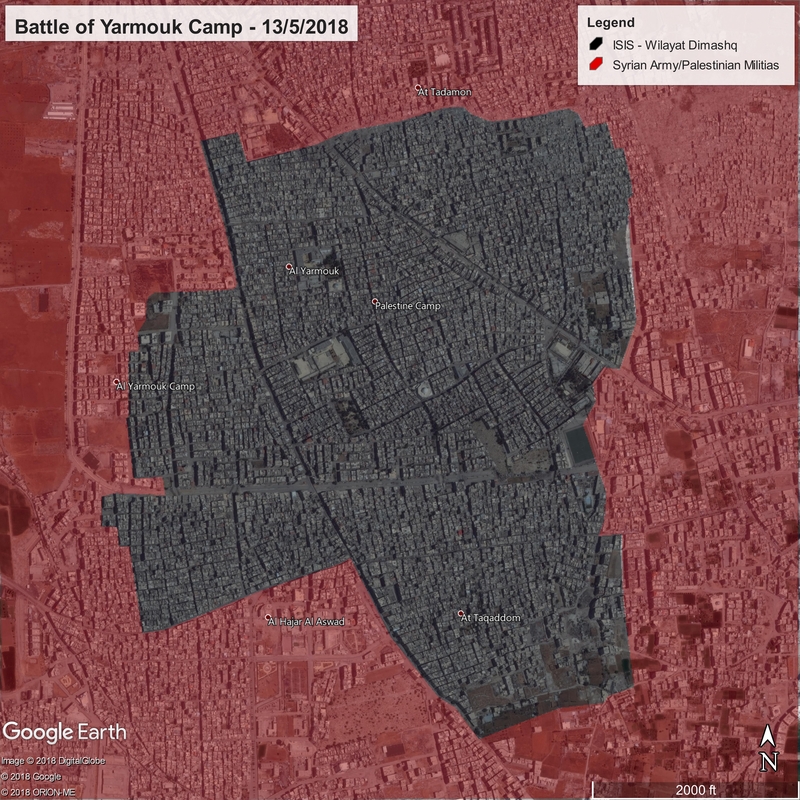 Syrian Army operations in the southern Damascus pocket slowed during the Israel-Syrian clashes of May 9th and 10th, but after the situation cooled down to the point where pro-government forces were no longer at risk, military operations to clear the pocket resumed. The Syrian Army continued to fight against ISIS on the western axis of the Yarmouk camp, sending forth tanks to fire at ISIS fighters in apartment buildings. Syrian Army surveillance drones proved useful for their troops in this engagement. In addition, Army soldiers advanced along the entire western side of the camp, securing the large “Thirty Street” and establishing a foothold in the camp. Meanwhile, Russian Air Force fighter-bombers launched a new sortie of airstrikes late Sunday night, striking suspected ISIS hideouts as they reinforced their positions under cover of night.